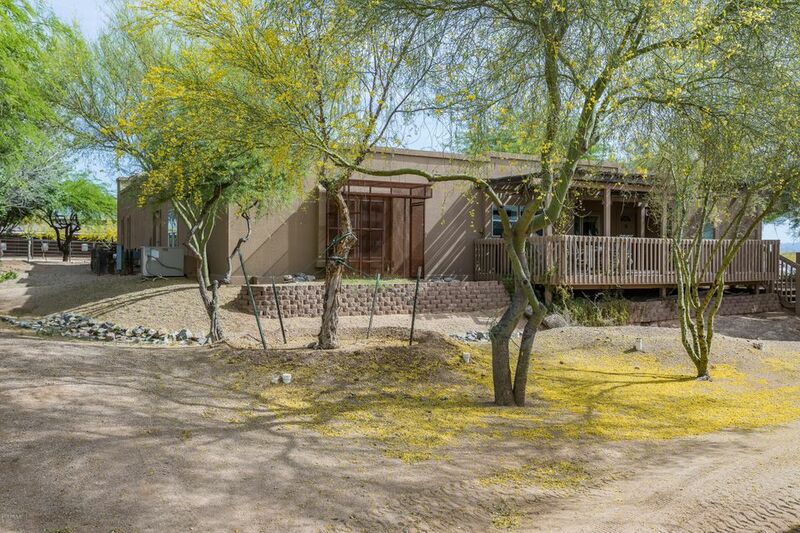 All Thunder Cloud Ranch homes currently listed for sale in Scottsdale as of 04/23/2019 are shown below. You can change the search criteria at any time by pressing the 'Change Search' button below. "Incredible location and opportunity awaits you here! Working horse ranch with all the bells & whistles. 10 pristine acres w/veterinary neighbor. Home has 4 bedrooms split 3 baths,living,dining, big kitchen, game room plus hobby room. Insulated & cooled garage. 79 stalls in 3 barns, all barns have tack room, 5 wash racks, 140'X 300' reining area, 110' square pen,round cutting pen w/lights, 100'X 216'covered arena, 60' rnd breaking pen with walls, cattle pens, turn-outs,covered trailer parking, 4-"